for Web or Blog headers....or Just for Fun Geeky Stuff! I really like this Ransom Note Generator...but it's a bit tricky...you have to play with it to get good results, adding spaces, capitol letters, and the like. But when you're done you can download the image to your HD & I crop it with PicMonkey or Photoshop, but I think it's right nifty! Tips: Use the button at the top of your picture to download it to your computer! See this page for more ideas! To align the text (left, center, or right) on this picture, just put spaces before or after any of the words until you like the way it looks. Also, see my example above.....below the big BLUE ARROW. This resource is so splendid, I blogged about it 9 years ago. But it's still going strong and it's so much fun that you may want to give it a rest after a while - kind of addictive! But Spell With Flickr just charms me so! If you don't like a particular letter you can click it and get another - but sometimes you will regret it...because you sometimes can't get back the letter you just threw away! There are SO many different options. All of which has of course caused me to waste more time than I'd like to admit to get just the right look for my headers! Did I mention this was addictive? From the Fodey.com website: "Enter your own text, press the button and the little character will write your text. 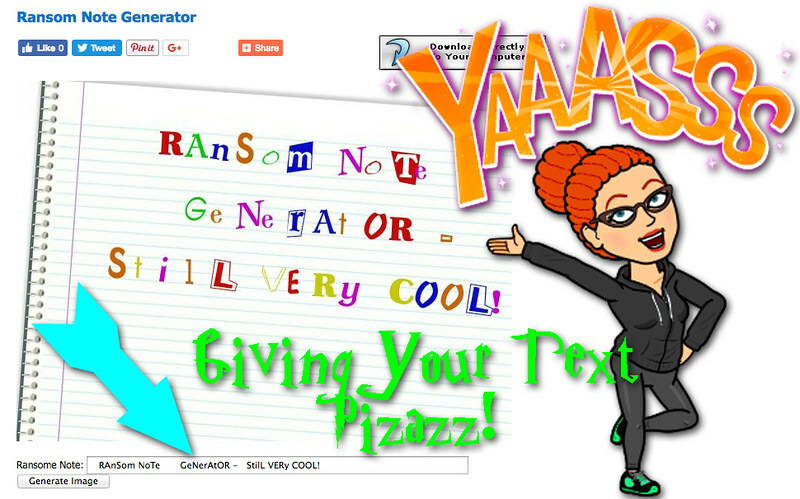 The image generator will also create HTML code you can use to embed the animation on your own website." 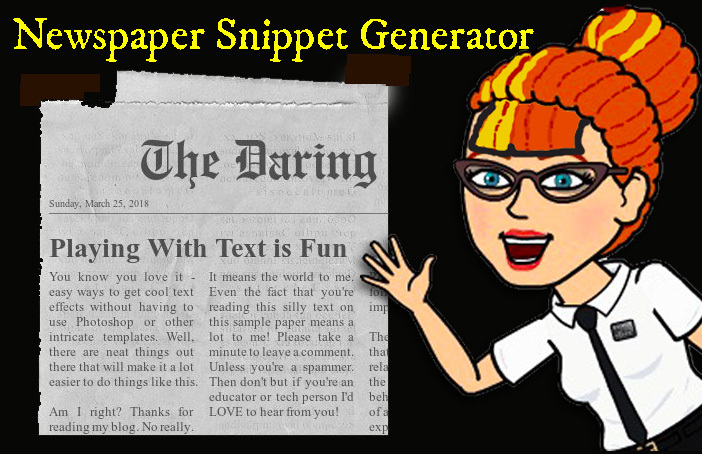 From the Genius who gave us the Ransom Note Generator by @addletters, this Newspaper Snippet is Fun! It's an old school website, but click on HOME and check out his other offerings! 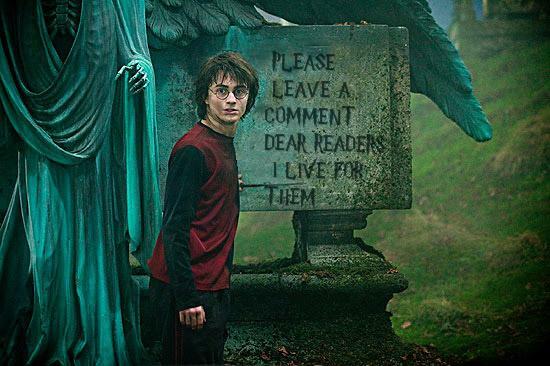 So is the Harry Potter image below. But about the newspaper, you can even take the time to write the paragraph below the headline. I did it above, but it's kinda hard to read! But neat, right? Sheesh, I think I've used the words groovy, neat, and cool enough in this post, what do you think? Splendid? Fantastic? Stupendous, Geeky Great? Yeah, kinda all those things! As always, friends - thanks so much for taking the time to read this blog! I'd love to hear from you! Your Turn! 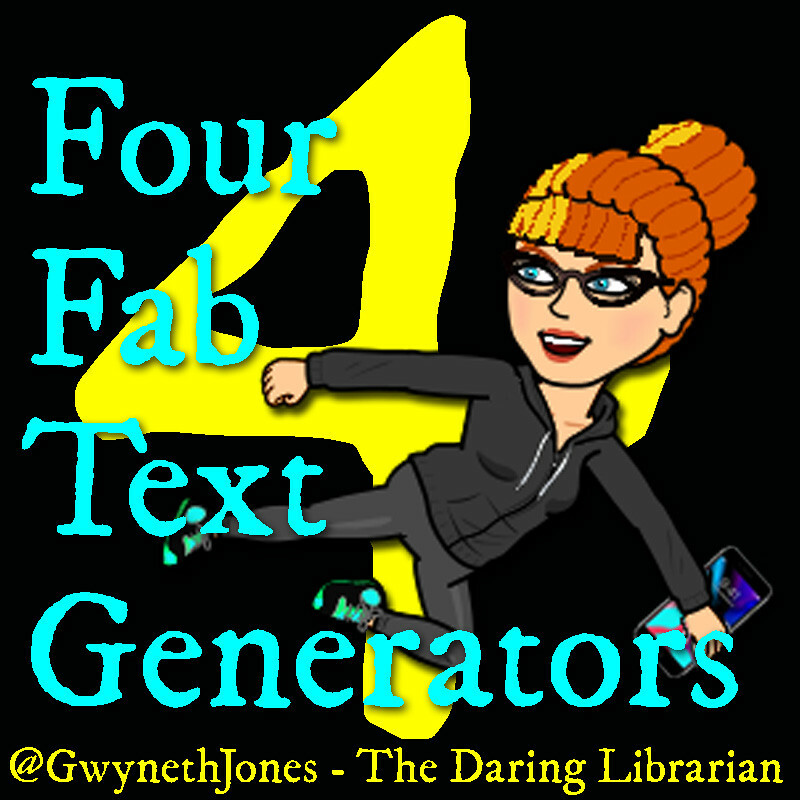 Have a favorite Text Generator or other geeky cool text thingy? Please share it in the comments or Tweet me! Tombstone generator: slightly morbid, I know. We use this when we do biographical research. We discuss what an epitaph is and how to summarize their research subject's accomplishments into a few words. Just letting you know I read everything, even the little newspaper print - thank you for sharing!